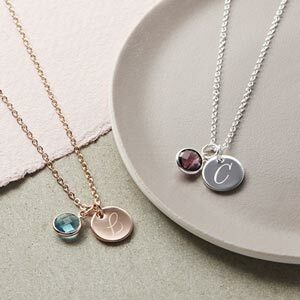 The Amy personalised karma birthstone bracelet is a stunning design available in silver and rose gold with an engraved initial and choice of birthstone charm. 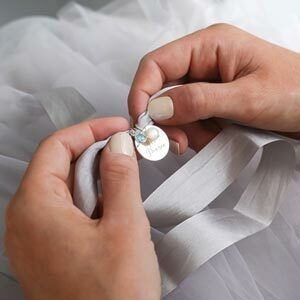 Our Amy Personalised Karma Birthstone Bracelet is a beautifully delicate disc on a fine chain bracelet with birthstone charm and halo ring, giving a modern and understated look. Came in beautiful packaging and the bracelet itself was stunning.